I’m a big fan of science. I would think there would be one best way to approach a personal injury case. But I’m always amazed at how trial lawyers with such unbelievably different approaches and different styles can be successful. But it is not just trial lawyers. If you look at the best of the best among politicians, musicians, actors, athletes, mathematicians, you name it, they are all different and approach their craft very differently, albeit with some common threads. The same is true with insurance companies. They all have the same general idea: take in lots of money in premiums and pay out as little money as possible in claims. I think, for example, State Farm and GEICO have unbelievably different business models when it comes to running their business… including their approach to handling personal injury car accident claims. Obviously, both of these companies are making money hand over fist. But there is clearly not one single correct business model when trying to reduce the amount of money you are going to pay out in claims. You need to know the model you are facing to figure best our how to maximize the value of the claim. All roads lead to this Rome: you need to devise the tactics to get as much money for the claim as you possibly can whether it is a $50,000 claim or a $5 million claim. One of my jobs here is to discuss strategy with our lawyers on the cases they are handling in litigation. It is one of my favorite parts of the job. I’m providing strategy and tactical advice without having to do the heavy lifting. Whether it is an accident or a medical malpractice case, one of my first questions is, “Who is the insurance company?” (and “What are the policy limits?). Because you have to have some idea of who you are dealing with in trying to settle the claim or even when you know you are going to try the case. 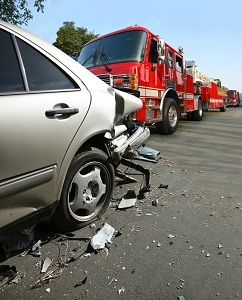 State Farm and Nationwide, for example, could have different approaches to personal injury cases. At Nationwide, a verdict that exceeds the policy limits by a $1 is a federal case. Alarms go off, file audits are conducted, and the world gets turned upside down. At State Farm, they call a day like this Tuesday. It is just an ordinary thing that happens. This is a critical thing that you need to know when you are going into settlement negotiations. Below, I have analyzed the insurance companies/adjusting companies we deal with in 97% of the motor vehicle accident cases we handle. You can find it here. Jump on the first link at the top and locate the insurance company you are dealing with on your claim or just look for the box that lists the major insurers at the top of the page. Did I hold back some thoughts in analyzing these companies? At times, I do a little. But I do think they provide some insight into how these companies operate and think, and may be useful to you in crafting strategies for settlement and at trial.